In 2018, 66,000 new homes were built, a growth of almost five percent compared to 2017. This is what the Central Statistics Office (CBS) reports on Thursday on the basis of new figures. Since 2009, not many new homes have been added. The total housing stock grew by 0.9 percent due to the new building. 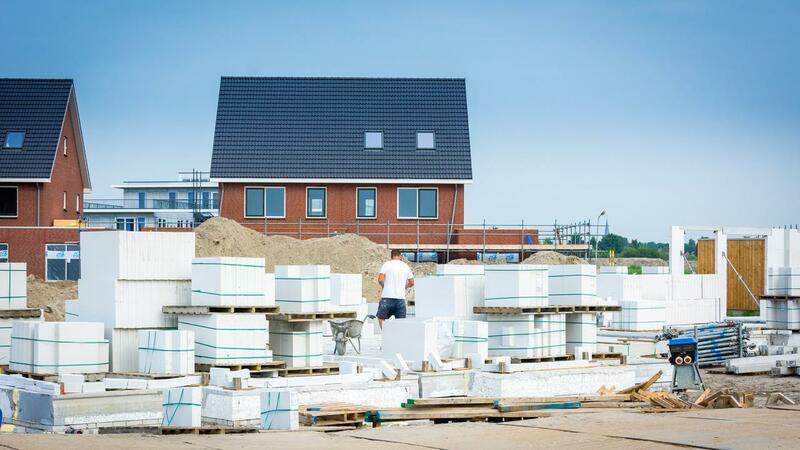 In terms of percentage, the new housing stock in the municipality of Diemen grew by a strong 5 percent. The figures are in line with the growth of the housing stock before the low point of the economic crisis. Between 2000 and 2009, the housing stock by new construction often grew by about 1 per cent annually, on average about 76,000 homes per year. This number declined after 2009. At the low point in 2014, that percentage had dropped to 0.6 (45,000 homes). In the three years that followed, the number of new homes grew more and more. In 2018 there was also more built than the year before, but the growth fell back. The figures presented are still provisional. The final figures will be published in May 2019.